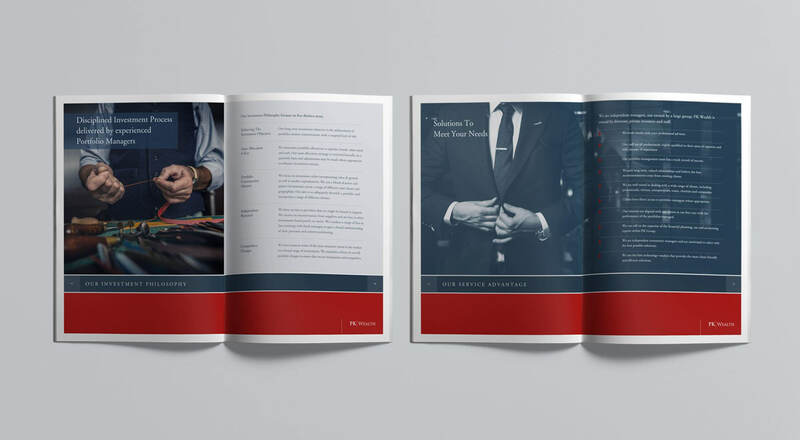 Marketing literature for large London based tax advisers, financial planners & accountants. PK Group is a fast-growing, London-based firm of financial architects. As one of the leaders of the new generation of financial services companies, they are dedicated to using their financial experience and expertise to grow and to protect businesses, income and wealth. 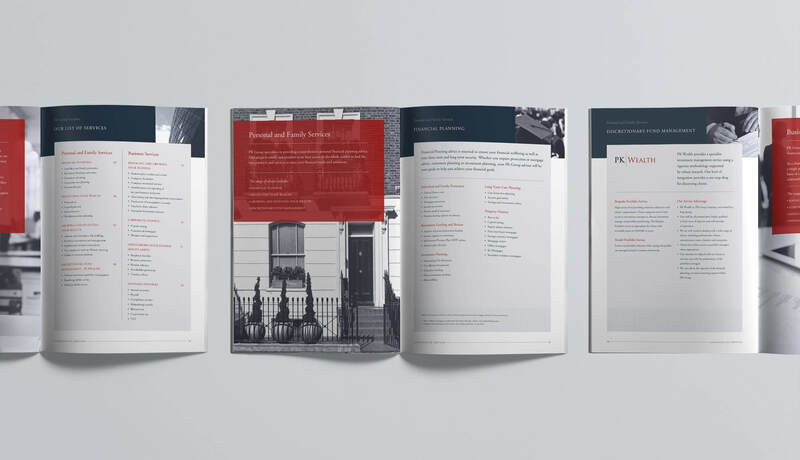 We have worked with the PK Group for a number of years on a variety of projects, creating multiple brochure designs, presentation folders and sales materials. All of which follow the PK Group company branding style which we have created for them.